(SOS) is installing four demonstration pods at next month’s Legal IT Business Show, the UK’s largest free technology event for law firms, that showcases how technology can help law firms to stand out in the new legal era. 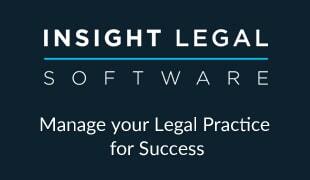 The Legal IT Business Show takes place at London’s Business Design Centre on 5 and 6 March. Delegates can view SOS’s flagship application SOS Connect, which underpins business process management in mid-tier and larger law firms, as well as the Virtual Practices legal software and cashiering service, for smaller firms. There will also be a prize draw for those taking part in the SOS legal IT sector survey, a suite of case studies and mouse mat giveaways. “Our presence at the Legal IT Business Show is about helping law firms to successfully navigate their way through the new legal landscape: showing how they can streamline their operations while at the same time, improving their client experience and managing risk and compliance issues with real confidence,” says David McNamara, managing director of SOS. Matthew Robinson, business development director for The Legal IT Business Show, added: “The show is the longest established, and by far the largest, business and technology event for the UK legal sector.